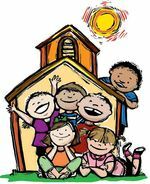 Children’s church provides teaching, fun, singing, games, and snacks for children to learn about Christ during Sunday Morning Church. The Nursery Ministry oversees the nursery and supports the natural and spiritual grown of youth under age 5. The Children's Ministry is led by Sister Megan Holmes. Sister Megan is a graduate of Eastern Michigan University with a degree in teaching. She is a spanish teacher at Belleville High School. Sister Megan is a dedicated member of Abundant Harvest and is instrumental in working with youth of all ages and engaging the community with creative ideas on outreach. She is the leader of Vacation Bible School each summer. Sister Megan is the wife of Brother Andre Holmes who is also active in the ministry with the music ministry, Compassion team and youth board. Sister Megan supports her husband in youth ministry and is a member of the Compassion Team.